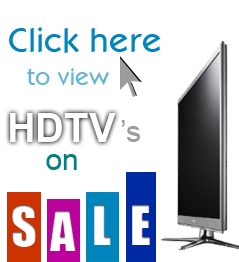 Looking for a sleek new LCD TV for 2011? The competition is getting stiff and HDTV manufacturers are throwing in a lot of extras to get your business. Many of the hot new features for 2011 include 3D TV, internet-ready TV’s with apps and super slim and trendy displays to catch your eye. All these little bells and whistles are great but consumers are also looking for great picture quality, good sound and other core features to an HDTV. We’ve analyzed the resolution, contrast ratio, refresh rates, energy ratings, input connectivity, remote controls and other features of 2011’s LCD TV lineup and found the best of the best. The Samsung D630 LCD TV comes in both 40″ and 46″ options and has everything you’d expect in a good HDTV including 1080p resolution, 4 HDMI inputs for maximum connectivity options and a bunch of Samsung-specific features like Auto Motion plus to reduce any blurring, ConnectShare to play your media through USB and Samsung’s famous Touch of Color design. The Samsung D630 is a great combination of quality, features and price. The LG LK520 LCD HDTV series is available in 42″, 47″ and clear up to 55″ screen size. The LK520 series is a bit light on some of the fun “extras” but is a solid TV at its core which is what really matters most. With 1080p resolution, 120hz TruMotion refresh rate, high contrast ratio and a Picture Wizard to help get set up properly, you’ll really enjoy the picture quality of this HDTV. If you don’t need some of the newer features like Internet apps and WiFi, this TV is a great bargain. Vizio is quickly becoming known as one of the best value brands on the market and the Vizio E3DVX series (available in 32″, 42″ and 47″) fits right in. If you’re looking for a great quality TV with all of the bells and whistles, you’re looking for a Vizio. The E3DVX series include built-in WiFi, Vizio’s VIA apps, 3D capable (includes 2 pairs of glasses) and many other picture and audio-quality features that make it one of the best LCD TV’s on the market right now. Note: This list is limited to strictly LCD TV’s, not LED backlit LCD TV’s. Click here to see the list of the best LED TV’s.